After just over an hour of deliberations, a Union County jury found two Newark men guilty this morning of Armed Robbery, Possession of a Handgun for an Unlawful Purpose and Eluding a Law Enforcement Officer, announced Union County Prosecutor Theodore J. Romankow. 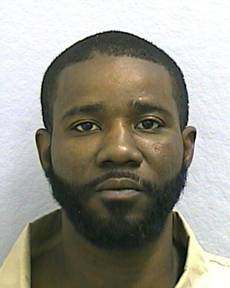 Kenneth Banks (DOB: 7/19/74), a confirmed high-ranking member of the Piru set of the Bloods street gang, and Andre Nance (DOB:10/13/65), an associate of Banks, face life imprisonment for their role in an armed robbery and high-speed chase in Elizabeth on October 17, 2009.
walking through Kellog Park when Banks and Nance approached the women and surrounded them. With Nance holding a gun at the older girl’s stomach and her mother begging the men “not to kill my daughter,” Banks took the older girl’s earrings out of her ears and necklace from around her neck before the men fled the scene in Banks’ vehicle. The younger girl then flagged down a pedestrian and asked him to call police. Shortly after the armed robbery, Elizabeth Police Officers Robert Sharpnick and Humberto Alvarez spotted Banks’ vehicle in downtown Elizabeth and attempted to stop the vehicle. The suspects then led the officers on a nearly five mile chase with Banks crossing double yellow lines, swerving into oncoming traffic and running red lights. After crashing into a vehicle on Meeker Avenue in Newark, Banks lost control of his car and crashed. Both men were arrested at the scene and police recovered the gun used in the robbery. “This type of violence against women and children and endangerment of this community will not be tolerated. We will pursue the maximum sentence allowed by the law so these men can never hurt another person,” said Prosecutor Romankow. 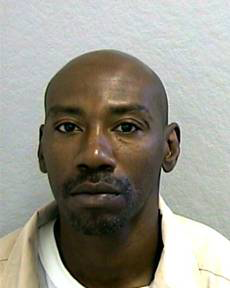 Banks and Nance will be sentenced JudgeFrederic R. McDaniel on July 20, 2012.